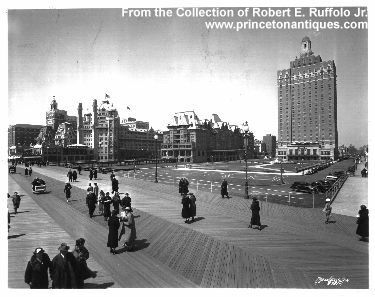 millions came to vacation, even before gambling. 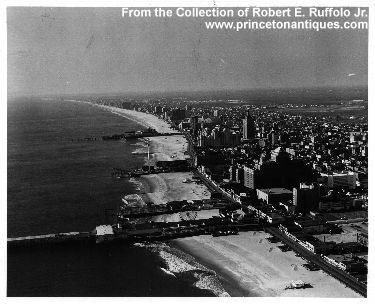 A Nor'easter flooded out a candy store owner in the 1800's, thus salt water taffy was born in Atlantic City. 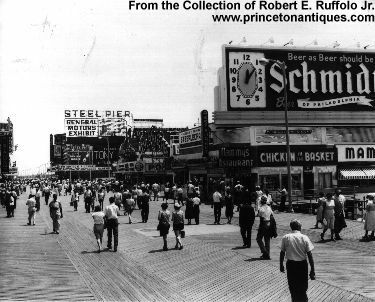 Walking down the boardwalk night or day, one would smell the aroma of roasted peanuts several blocks before the world famous Planters Peanuts. The peanuts were roasted and conveyor-belt cooled throughout the store. Tons were sold each week, a bag at time. 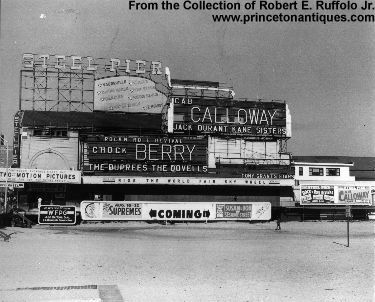 the whole family, next door to the Famous Steel Pier. 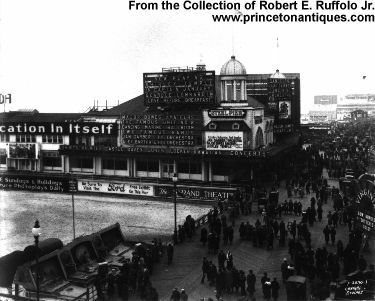 The World Famous Steel Pier, two movie theaters, music hall and ballroom, water circus of Hawaiian High Divers and the diving horse were just some of the attractions one could see for grand admission of one dollar. the music shook the Pier, more than waves striking the pilings.